A Chicago air traveler told NBC 5 Responds she expected more from a major airline after an annoying flight experience. 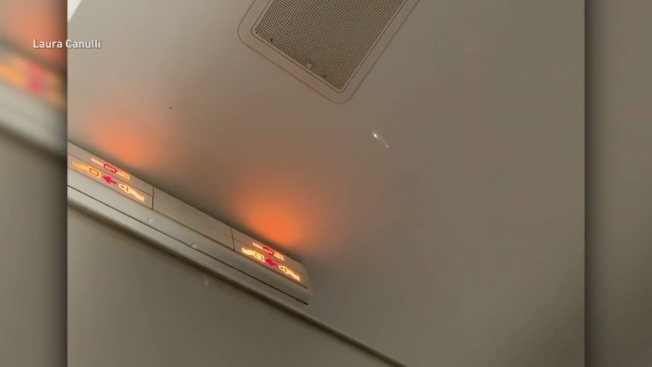 Laura Canulli said she was flying back to Chicago after a vacation in Europe when she felt something hitting her face six hours into her flight on a British Airways jet. Canulli said the drops fell non-stop for about forty-five minutes. “There was water on my arm rest and it was hitting my leg. It was constantly coming from the ceiling,” Canulli said. Canulli said she notified the flight attendant about the drops but was told the condensation happens all of the time. Canulli also said the airline staff had earlier announced the plane was full, so she did not ask to move seats. But after landing, Canulli notified British Airways about her concerns. “I think that they should offer their customers something. Whether it’s something as trivial as a drink ticket, something to say, ‘hey, listen, we hear you,’” Canulli said. Canulli said she was offered an apology, but not a partial refund. Last year, NBC 5 Responds reported how a Northbrook family said they had suffered through 3.5 hours of drips on a United Airlines flight and were ignored by flight attendants. However, United later apologized to the family and refunded their tickets after NBC 5 Responds contacted the airline. Paul Hudson, president of FlyersRights.org, said airlines can help passengers experiencing similar water or condensation annoyances by either moving them to another seat or stopping the leak. Canulli said she impressed upon the airline that she paid nearly $1,000 for her tickets. NBC 5 Responds contacted British Airways and the airline later offered Canulli a $100 voucher to put toward a future flight. “With around 123,000 customers flying with us each day, we know we occasionally get it wrong, and when this happens, we will always work with our customers to investigate what has happened,” said British Airways spokesperson Chip Garner. Canulli told NBC 5 Responds she was happy the airline did something about it.